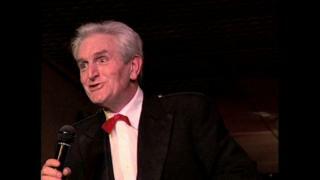 Renowned Scottish entertainer and writer Norman MacLean has died. Glasgow-born MacLean, who was 80, worked in both Gaelic and English, and often weaved the two languages together in his routines. He was also a singer and piper and released several albums of comedy and singing. In the 1970s, the Royal National Mòd gold medallist's programme Tormod air Telly was the first, groundbreaking Gaelic comedy to appear on television. He won the Comunn Gàidhealach Gold Medal and was crowned as a poet at the Mòd in Glasgow in 1967 - the only person ever to gain both prizes in the same year. MacLean was born to an island family living in Glasgow shortly after World War Two. But he was raised by relations in the Highlands and the Islands, including near Loch Arkaig in Lochaber, where his uncle was a shepherd, before he moved to Uist in the Western Isles. After graduating from university, he taught in Glasgow and Oban. He also travelled the country as a part-time singer and musician. He gradually added more comedy to his repertoire before eventually leaving teaching to work as a full-time entertainer. Many believed he had the ability to achieve international success if his personal struggle with alcohol had not held him back. In his autobiography, The Leper's Bell, he wrote openly about his problems. As well as his autobiography, he published books of poetry and novels that received critical acclaim. Fellow Gaelic entertainer Donny "Dotaman" MacLeod said: "He had something to say to everyone, not just to the Gaels. "He was so good. He was talented in every way." MacLean spent the final years of his life in Uist.